Last September, we reported that food additives and colorings were linked to Attention Deficit Hyperactivity Disorder (ADHD) in children. In fact, all children are affected, not just those who develop ADHD. Despite calls from activists to ban artificial food dyes, many of which are derived from petroleum and coal tars, the FDA insists they are safe. Now, the UK is taking these concerns seriously and calling for voluntary ban by next year. US companies have taken the UK’s voluntary ban seriously by removing additives for the EU market. Mars has removed artificial colors from Skittles and Starbust sold overseas, as has Kraft removed color additives from Lunchables. Sorry American children, but you are still getting these nasty treats filled with artificial ingredients linked to hyperactivity. 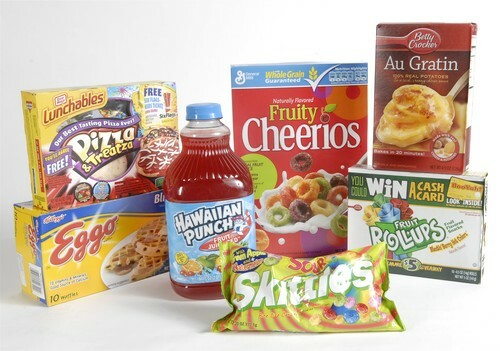 Kraft claims US consumers are more concerned with calories and fat content than artificial colorings, and thus they remain in the US market. The evidence we have suggests it would be sensible for these [colourings] to be taken out of food. We would like to see the use of colours phased out over a period. That does require mandatory action by the EU. A total EU ban could take several years. I am beginning to think that children in the UK are safer than their American counterparts. First the EU phases out pthalates, then the US insists they are safe. Now the FDA is ignoring the safety of food additives. Michael F. Jacobson, executive director of the Center for Science in the Public Interest, explains it best, “At the very least, they ought to give some consideration to what the British government is doing.” Thank goodness my kids eat only organic, natural food. It is so very sad that the FDA has such little regard for the well being of kids in the U.S. I agree completely! How come Europeans care more about their health than we do? The more I read about these dyes that they put in food just to make it look attractive the more scared I am to eat away from home. It is disgusting. Thank you for caring and posting this to let others know what to look out for in their food consuption. The Great Gro Baby Organic Cloth Diaper…Plus A Coupon! Retro Earth Day: Remember this Pollution Ad?